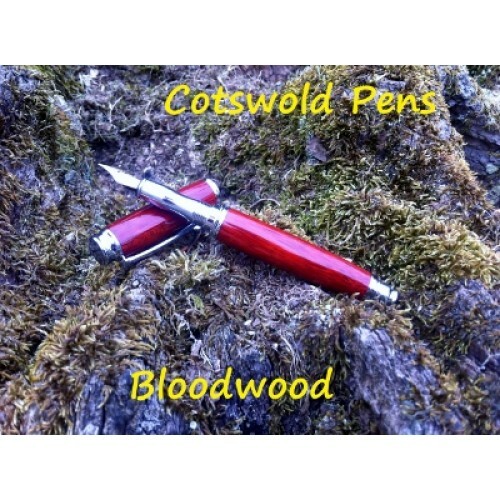 A superbly weighted Fountain pen with an ergonomically designed nib section. The nib is medium tipped gold plated Iridium. Comes with a refillable reservoir and also takes standard International cartridges. Handcrafted from various woods and acrylics. Please call or email for availability. Shown here in Bloodwood. A fabulous gift. Please Contact us if there is a specific wood you wood like. AVAILABLE NOW IN Bethlehem Olive Wood or Cocobolo. 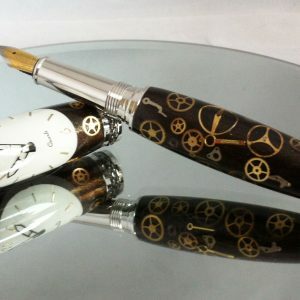 Be the first to review “The Burford Fountain Pen” Click here to cancel reply.